Sarajevo, in the 1990s, is a hellish place. The ongoing war devours human life, tears families apart and transforms even banal routines, such as acquiring water, into life-threatening expeditions. 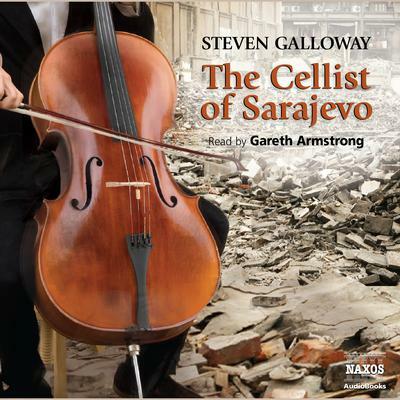 Day after day, a cellist stations himself in the midst of the devastation, defying the ever-present snipers to play tributes to victims of a massacre. A true story of a cellist’s resistance helps to form this pivotal event in Steven Galloway’s extraordinary novel. Against this, the author touchingly describes three ordinary townspeople and their efforts to retain their humanity, sanity and autonomy as war takes hold of their lives. This bestselling novel is immediate, vivid and deeply affecting on audiobook, fully immersing the listener in the havoc of war.